Why train with Master Dog Training? Even after just one training lesson, you will immediately see results in your dog. Our trainers will observe you working with your canine friend and will notify you of, and help you fix any mistakes that could have been leading to behavioral problems. Get your dog trained by one of the World’s top trainers! 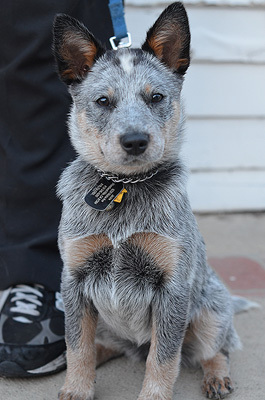 Master Dog Training invites you to come visit our training property in Woodland Hills, CA. With over an acre of land dedicated to dogs, our school is a certified doggy paradise! Melancholic – which is when the dog is in a constant depressive state and is extremely difficult to excite with play or food. Some dogs even demonstrate a mixture of nervous systems. Each type of nervous system warrants an individual style of training, which will all be explained and demonstrated to you by the trainer during your free first training session. The reason why this test is so important is that it allows us to see which individualized style of training needs to be used with your dog, rather than use a “one size fits all” approach, which hardly ever warrants results. Another important factor in formulating an individualized training program for your dog is determining his or her stress levels. The way we do this is through a loud-noise response test. If your dog’s stress levels are too high, his or her health could be jeopardized, so our professional trainers will work in increasing your dog’s confidence, subsequently lowering his or her stress levels and improving his or her training performance. 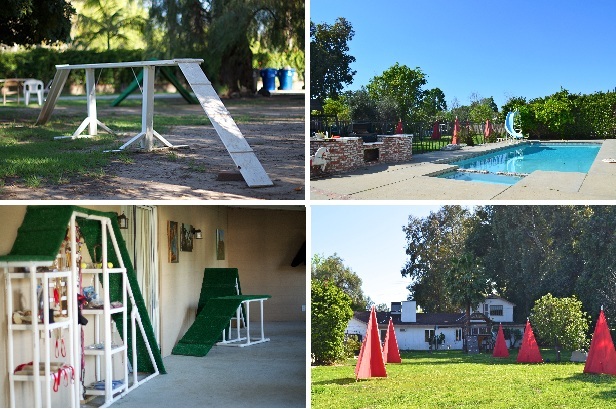 Our property includes: two large outdoor areas: one for obedience and agility dog training, and the other for Shutzhund training and for relaxation time, a large pool specifically used for exercising our canine students, and indoor facilities that are used in poor weather. Come see what the buzz is about today! Give us a call at (818) 290-9411, or sign up through the form below.